Want to kick-start your photo booth or magic mirror business with leads? Not getting enough traffic to your website? Advertising costing you an arm and a leg? List your business within our directory and sign up to our guaranteed enquiry referral system! 5. That enquiry is now your lead to convert. Contact them as soon as possible to convert that enquiry into your lead! Our 12 month lead generation system costs £499 (RRP £999) + VAT for Photobooths approved photo booth providers. Not an approved provider? That’s OK! To join the Photobooth UK referral system, you’ll need to be part of the Photobooths.co.uk referral system, which is an approved only scheme. 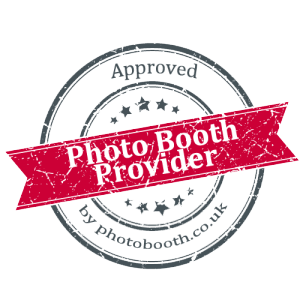 What is an Approved Photo Booth Provider? If you see a photo booth company boasting an approved photo booth provider logo this means that all equipment has been tested and approved by our sister company Photobooths.co.uk the UK’s leading photo booth manufacturer. Would you rather make a hire enquiry over the phone? You are more than welcome to contact us via email at info@photobooths.co.uk, and we’ll get back to you as soon as possible. Please note that emails are only checked during office hours. You can also write to us. © 2016 Photobooth (Trading under Resus Digital) All rights reserved.